I picked this book as one of my prizes from Half-Price Books summer reading program. I earned a gift card and this was one of my choices. 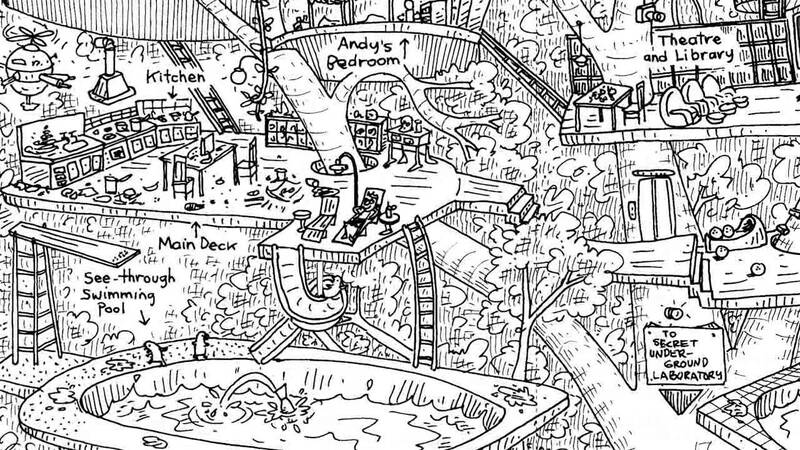 The 13-Story Treehouse is about two kids named Andy and Terry who write books and live in a 13-story treehouse. They need to write a new book for their published, Mr. Bignose, but they keep having problems that delay their book-writing. One of their problems is Terry paints their friend's cat yellow. It sprouts wings and turns into a cat-nary. Another problem is that Terry orders sea monkey eggs, but his first batch turns out to be a sea monster and his second batch turns out to be monkeys? They also have lots of other problems that delay their book, will they ever finish it? 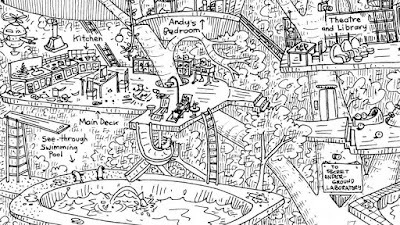 I really liked this book because Andy and Terry have so many silly problems that they can't get around to doing the things they need to do. 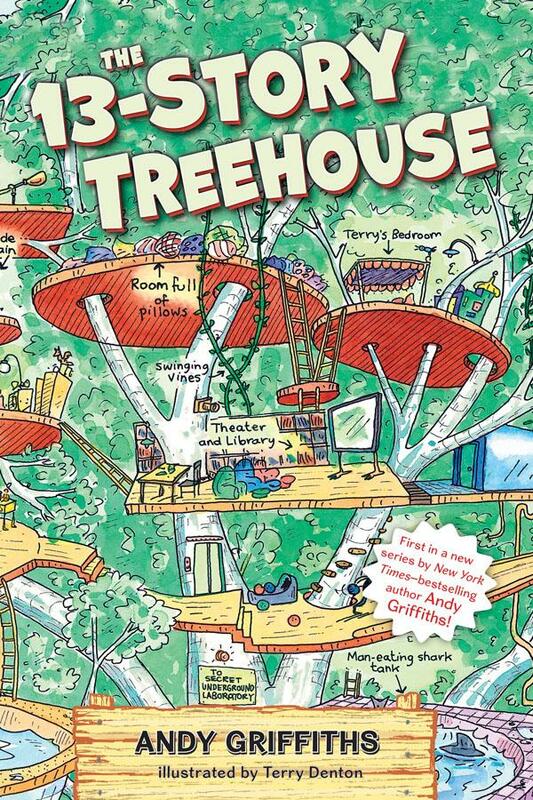 I also like this book because, instead of living in a normal house, they live in a really cool 13-story treehouse with lots of interesting rooms. 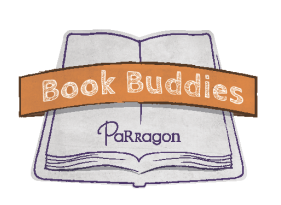 There are two more books in this series, the 26-Story Treehouse and the 39-Story Treehouse, and I really want to read them. Sounds like a great book! I'd love to live in a 13 story tree house! How fun would that be? 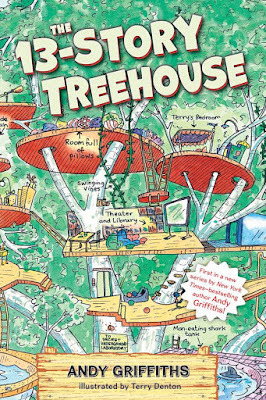 Actually, there are 13, 26, 39, 52 and 65 storey tree house books! It looks like they changed the spelling of the title to 'story' for the US market. 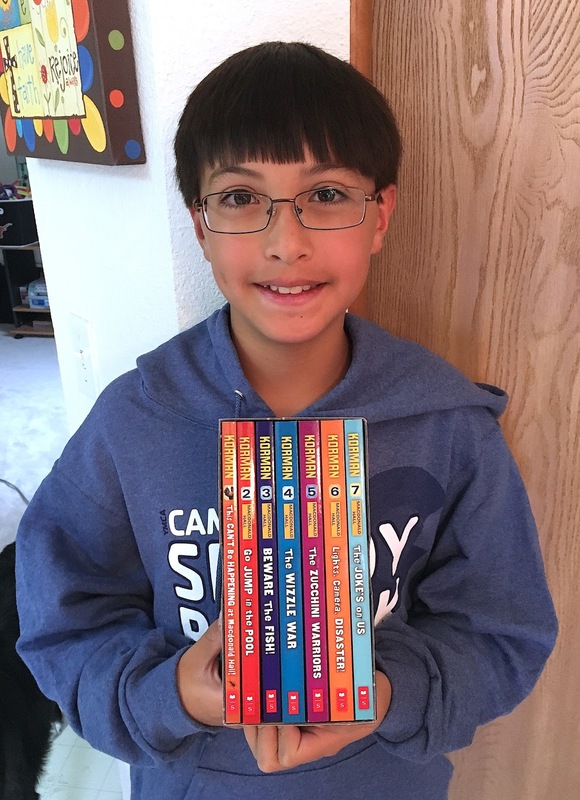 My son is the same age as you and has read the whole series (it is by Australian authors so is extremely popular here). I'm hoping to find some others to suggest to him from your blog. Thank you for telling me! I can't wait to read the rest of them!! !